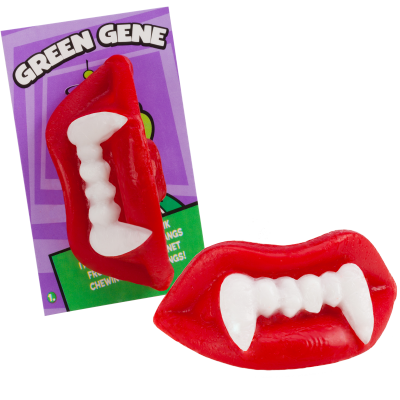 Cherry-flavored Wack-O-Wax Fangs encourage “play with your food” fun whenever the mood strikes. Whether at parties, holiday gatherings, or just goofing around with friends, they’re the all-time favorite “Play Now, Chew Later” wax treat. Wack-O-Wax novelty candy favorites were created in the early 20th century by the American Candy Company, and joined the Tootsie family in 2004. 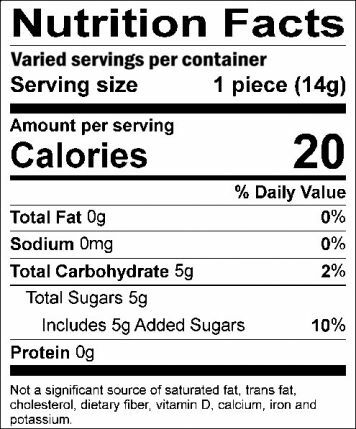 Ingredients: Refined Wax, Sugar, Artificial Flavors, Artificial Color (FD&C Red 40 Lake),Soy Lecithin, Titanium Dioxide, Acesulfame-Potassium, BHT (to maintain freshness).